California is home to raging progressives and some really dumb laws. And it's hard for me to admit that I was born and raised in the liberal hell hole *cough* I mean, paradise. Gov. 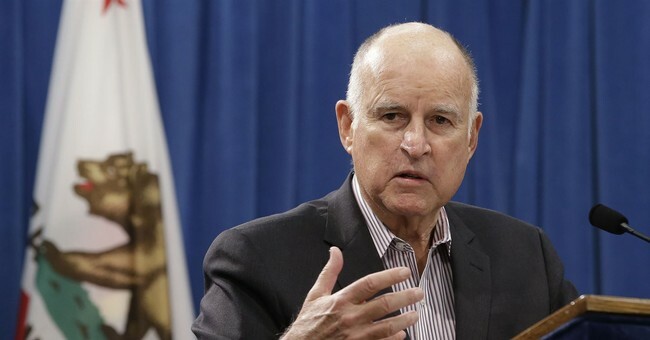 Jerry Brown keeps adding to California's stupidity. This time it's with S.B. 1192, which prohibits restaurants and fast food joints from listing anything other than plain ol' milk and water on menus. The real kicker though: people can still order soda and juices. They just have to ask for it. Many families lack adequate time to obtain and prepare healthy food, making dining out an appealing and often necessary option. As a result, more than one-half of food expenditures in the United States are spent outside the home. Nationwide, American children eat 25 percent of their calories at fast food and other restaurants. Children consume almost twice as many calories when they eat a meal at a restaurant as they do when they eat at home. By enacting this act, it is the intent of the Legislature to support parents’ efforts to feed their children nutritiously by ensuring healthy beverages are the default options in children’s meals in restaurants. So let's see how much sense this makes. A business offers a product. They can't advertise the product but they can still sell it as long as the person ordering asks for it. But if said product is listed on the menu the business gets punished. What happened to personal responsibility? People have the power to make decisions for themselves and their families. If they want to consume a soda or let their kid have apple juice, so be it. They have to face the long-term consequences associated with consuming the products. Progressives need to stop acting like they're creating dumb laws like this to help the public. They're doing this for one simple reason: control.